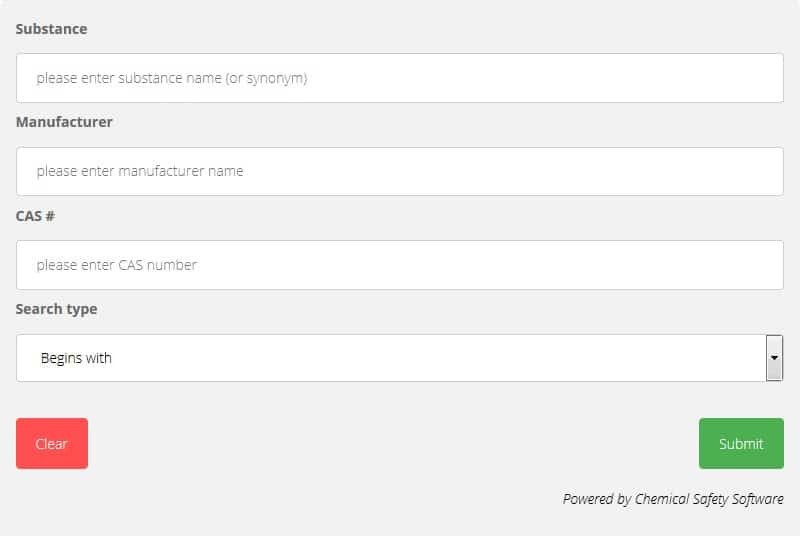 Enter the chemical name in the Substance field and click on the Submit button. A list of matching results from one or more manufacturers will be returned if the chemical is found in the database. You can then click on the desired result and a summary page will open. GHS labels and safety data sheets can be printed or downloaded. Click on the View GHS Label button at the bottom left of the summary page to open the GHS label. Click on the View SDS button at the bottom right of the summary page to open the safety data sheet. More advanced searches can be performed by populating multiple fields with data. For example, enter the chemical name in the Substance field and enter the manufacturer name in the Manufacturer field. This will return fewer, but more precise results. Also, the Search Type can be manipulated using the "begins with" and "contains" drop-down selections. You can search for SDS's using the CAS number. This will return only pure chemicals and not mixtures that contain that CAS number. Classify chemical data and hazard criteria. Identify a chemical's health, physical, and environmental hazards. Provide chemical manufacturers and distributors with a well-defined system to communicate a chemical's hazard information and protective measures. Safety data sheets have sixteen sections. The early sections, one through eight, focus on quick access to essential information that might be required by chemical handlers for safe handling practices or by emergency response personnel. Sections nine through eleven contain technical and scientific data, e.g., stability, reactivity, physical & chemical properties. Sections twelve through fifteen are not mandatory; however, they are required to be fully GHS compliant. The last section, section sixteen, contains information about the SDS itself, e.g., the revision date and changes since the last version. Employers must ensure that employees have access to safety data sheets for all of the hazardous chemicals they handle. Employers may fulfill this requirement in a variety of ways. For example, SDS binders are quite common as are computer-based SDS databases. What’s important is that employees have access to the safety data sheets for all of the chemicals that they are using. If the employer does not have an SDS for one of these chemicals they should contact the manufacturer to obtain the current version of the SDS for that chemical. In this sense, the online SDS databases have a clear advantage over binder-based systems since the database vendor usually takes care of indexing and updating the safety data sheets. Manage your organization's library of safety data sheets with Chemical Safety's web-based SDS management software. The software is easy to set up and it's affordable. Most importantly, it has everything you need to create an online library of safety data sheets that can be searched by everyone in your organization. Add hundreds or even thousands of SDS's quickly! Our Global SDS database contains SDS's with current revision dates from most of the major manufacturers. Your SDS library can be accessed by an unlimited number of employees, customers, and other stakeholders from any computer with an internet connection. Your safety data sheets are stored within secure data centers that comply with regulatory and audit standards. Many of the worlds most high profile organizations trust their safety data sheets to Chemical Safety's cloud-based solution. OSHA requires SDS's to be continuously available, even in the event of an emergency, e.g., a power outage. In addition to our core cloud-based SDS service, Chemical Safety offers SDS backup software at no additional cost. This will allow you to create local backups of your safety data sheets. 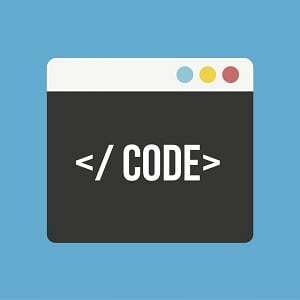 In addition to our web application, we offer Android, iOS, and Windows mobile apps at no additional charge. Chemical Safety's SDS and GHS database is a free service available to organizations of all types. For-profit organizations are granted permission to access Chemical Safety's SDS Search from Chemical Safety's website. There are no restrictions on the number of searches performed. Educational and not-for-profit institutions may embed Chemical Safety's SDS search on their own websites (see instructions below). Inserting a direct link to Chemical Safety's SDS search page is the easiest solution and requires minimal effort. For convenience, the link will open in a new browser tab. Chemical Safety is the developer of Environmental Management Systems (EMS), the original and most comprehensive EHS software.